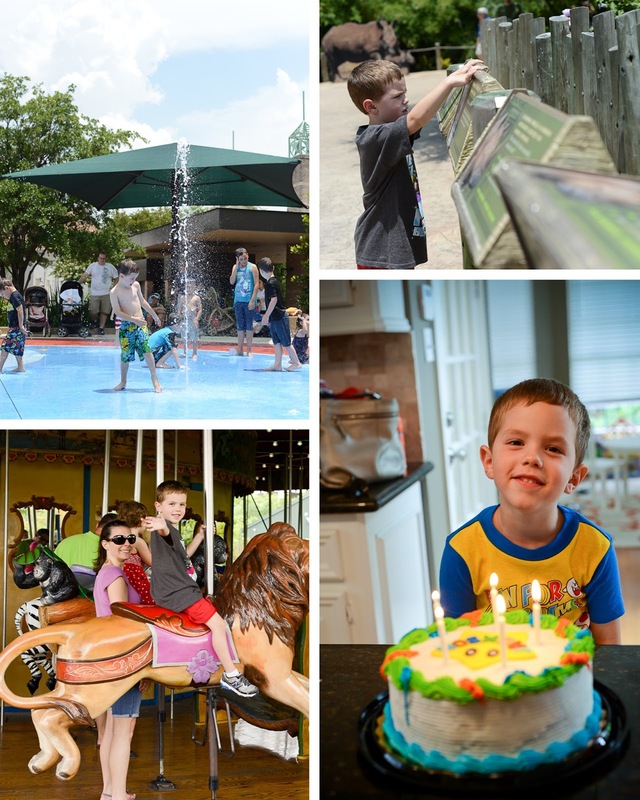 As I mentioned in the previous post, I was out of town for Jackson's actual birthday. In an attempt to make up for it, I created a scavenger hunt for him when he woke up the day of his birthday. Ross took a video of it so I could see his reaction. He loved it! I had a small gift with a little note and a picture of the next location in each spot. Ross, his mom, and his Aunt Dottie were there to help set this up and spend the day celebrating with him. He got to have the traditional party with cupcakes at school and have more cake with a special dinner that evening. 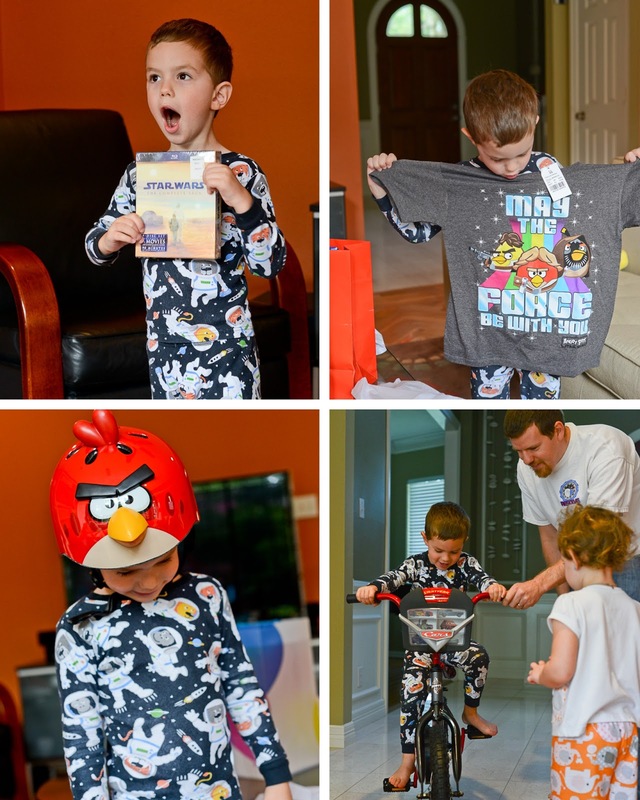 Grandmother got Jackson a small vacuum for his birthday, which we are all excited about! Jackson has always liked for things to be in there place and neat, so he loves getting to vacuum! I love having a cleaner floor! Another example of his excitement for organization was during the scavenger hunt. He wanted to find a place for a new game before moving on to the next location. I love it! 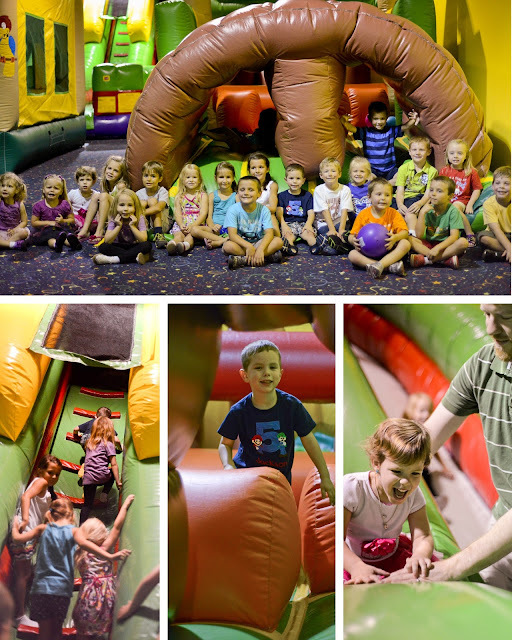 We had the official birthday party last weekend at Jump N Jungle, which was a great, low-stress way to celebrate! All I had to worry about was the cake and the party favors. Jackson had a little over 20 of his friends join him to celebrate, which meant so much to him! It was a little bittersweet for me to realize a lot of these kiddos have been at most of Jackson's parties for the last few years, and they will all be going to different schools next year! 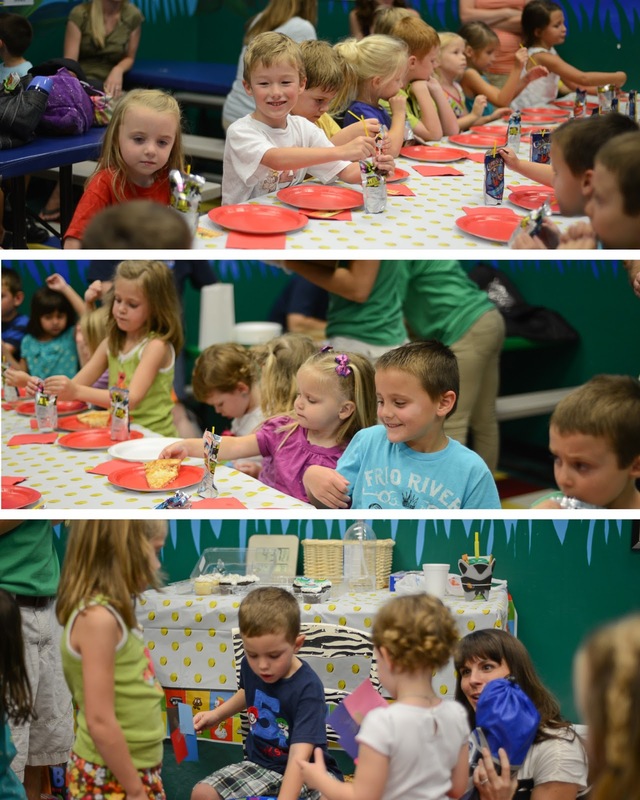 After wearing themselves out jumping, everyone took a break for pizza and cupcakes. 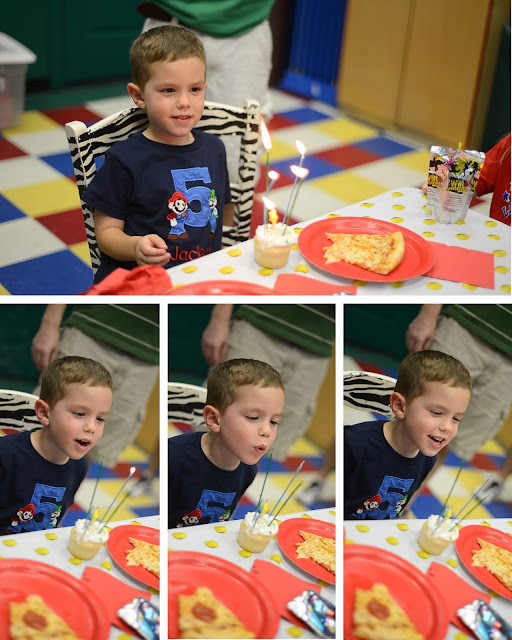 Jackson thought the sparkler candles that won't easily stay blown out were hilarious! Jackson chose a Mario theme for his party this year. I didn't do a very good job of taking pictures to document this party, but there were some adorable cupcake toppers and a fun invitation to go along with the theme. 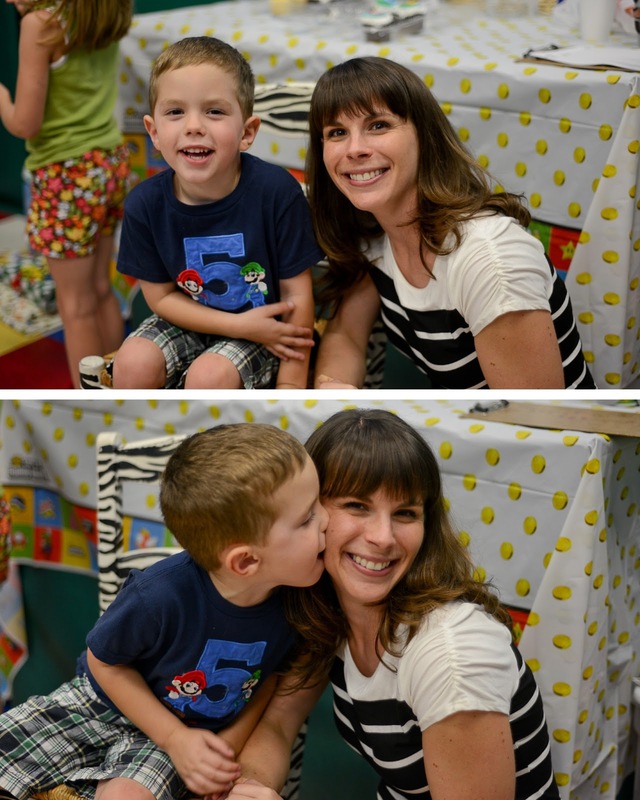 He also loves his shirt from this party, and I love that I'm in a picture or two with the birthday boy this year! Here are a few more shots of the chaos and fun while everyone was eating and Jackson opened presents. 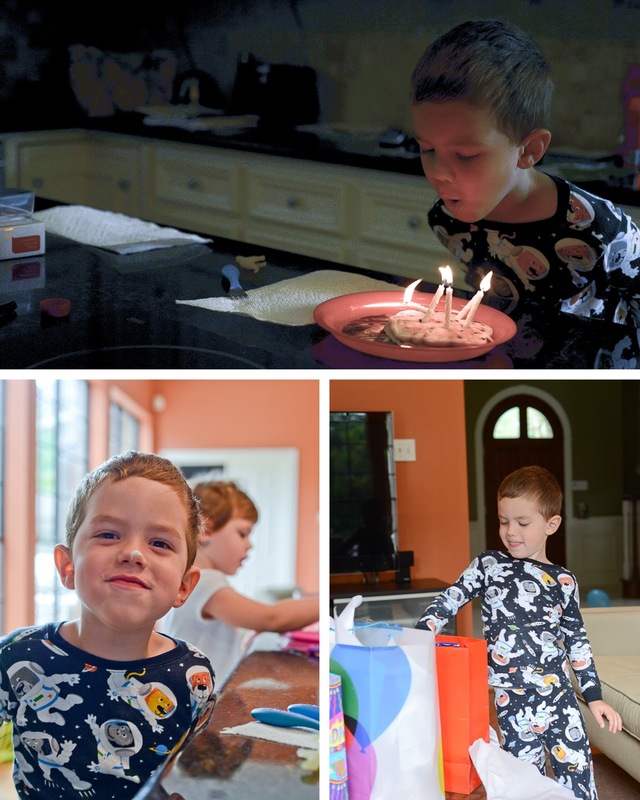 I'd say he had a pretty awesome birthday this year! As usual, there are more pics in the album!